Formed in 1850, the San Luis Obispo County Sheriff’s Office is the oldest and largest law enforcement agency in the county, with enforcement covering over 3,200 square miles. 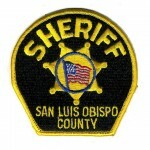 In addition to being the primary law enforcement agency for San Luis Obispo County, the Sheriff is responsible for coroner services, the county jail which houses over 500 inmates, the civil division, and special investigations units like the Gang Task Force, Special Problems Unit, Narcotics Unit, Records and Warrants, Sheriff & EMS dispatch facility, Search and Rescue, the Posse Unit, Aero Squadron and Dive Team. The Mission of the San Luis Obispo County Sheriff’s Office is to protect all life and property and to provide service, security, and safety to the community, as directed by law and moral responsibility.